Elevation of the Beckert’s Park looking Southwest, from 14th and D Streets, S.E. Elevation of the view from 14th Street, S.E. Entrance to retail parking, Starbucks, and a 5000 square foot retail outlet on the left. Elevation of D Street side. 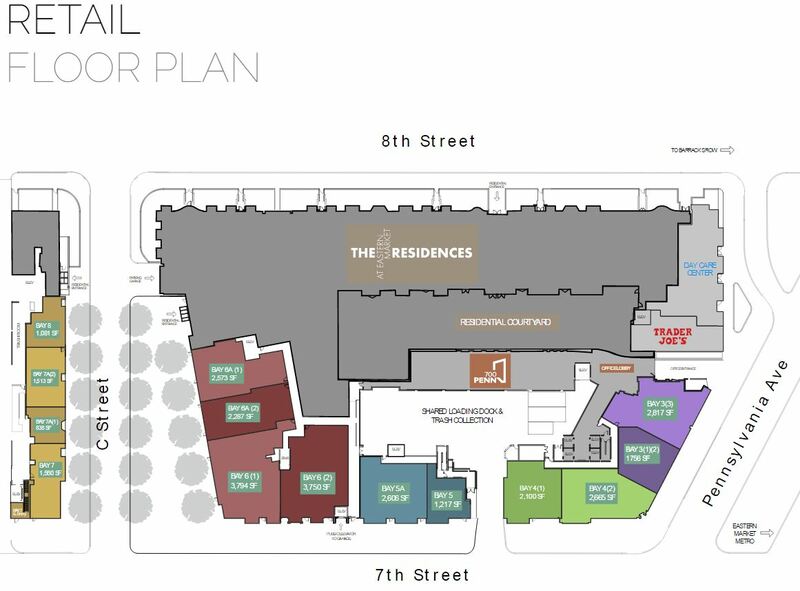 First floor plan, showing Safeway space in red. 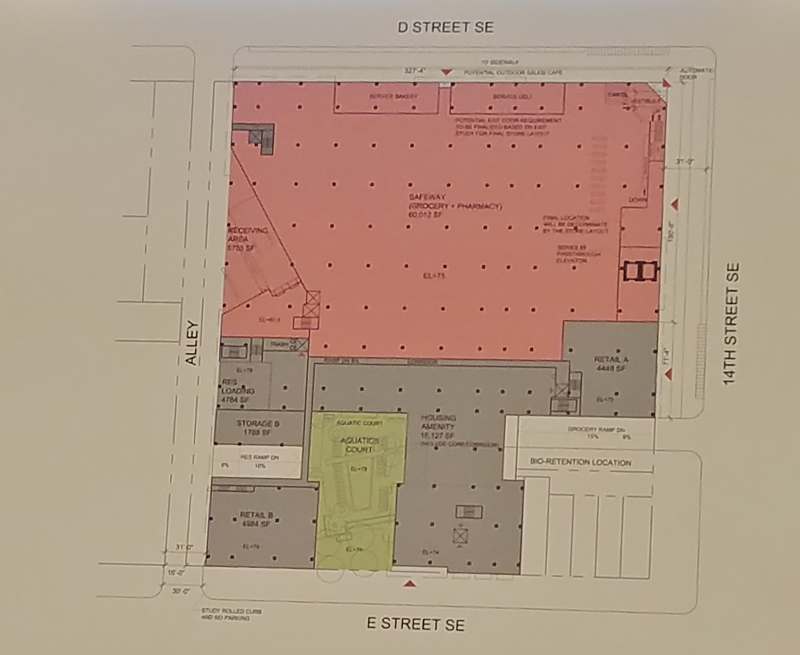 Note retail space in grey on lower left corner facing E Street, and a second retail space on 14th Street the the right, just below Safeway’s space. The green area indicates the location of the 6,000 square foot aquatic court. The entrance to the residences is just to the right of the aquatic court and the residential space comprises the rest of the ground level. Click to enlarge. Some 50 residents turned out to here the proposal for the redevelopment project. 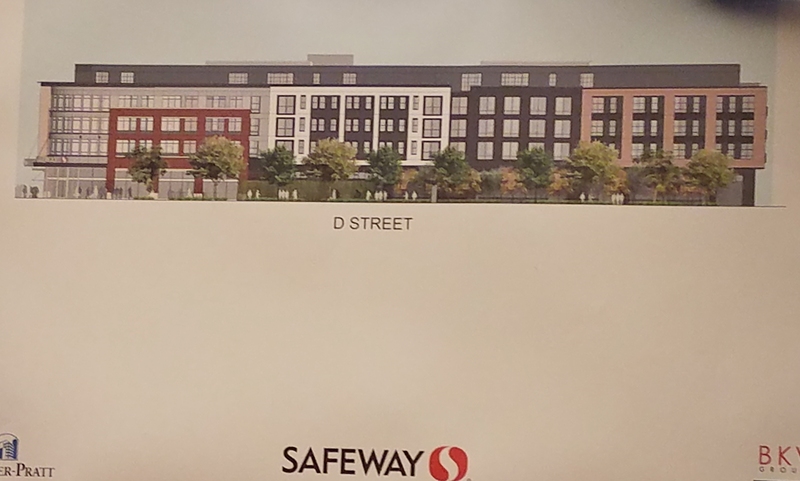 Monday night, Safeway senior real estate manager Tim McNamera and developer Bryant Foulger of Foulger-Pratt Group, the developer Safeway has selected to redevelop the Capitol Hill southeast Safeway site, sponsored a community meeting in Hill Center. The purpose, according to ANC6B Planning and Zoning Committee Chair Nick Burger was to provide an opportunity for residents to learn about the project and provide feedback. ANC6B will provide input regarding the project in June, both at the Planning and Zoning Committee meeting and at the June meeting of the full ANC. Foulger unveiled the concept design for the new project on 14th Street between D and E Streets, S.E. Key features of the project are as follows. 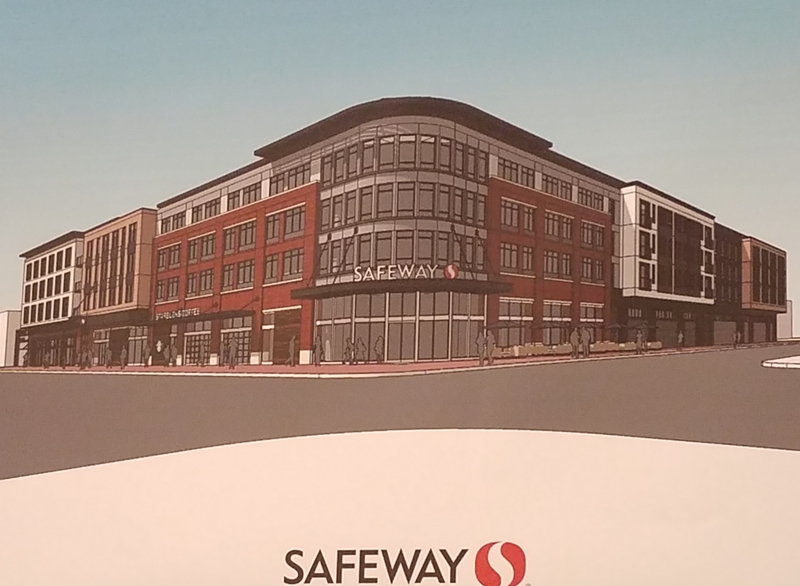 The project will increase the size of the Safeway from the 50,000 square feet to 60,000 square feet. There will be 329 apartments. The developer says that 70% of the units will be studio and one-bedroom apartments and 30% will be two bedrooms. A number of penthouse apartments will be set back on the roof. Rents will be calculated at a cost of approximately $3.25 a square foot – meaning that a small 500 square foot studio apartment will rent for between $1500 and $2000 a month. Ten percent of the units will be affordable under DC regulations, at 60% of AIM – average median income. Amenities for the residents are still being worked out but could include a club room, a dog run, a bike mechanic workroom, a fitness center, a dog washing station and a 6,000 square foot private aquatic court on the E Street side. All parking will be below grade and residents will not be eligible for Ward 6 Residential Parking Permits. Currently there are 155 parking spaces on the Safeway parking lot. This will increase to 194 parking spaces for the retail component of the project which will be accessed from 14th There will be an additional 170 spaces for residential parking, accessed from the alley – two separate entrances and two separate parking levels. The retail plan for the two first level 4500 to 5000 square foot spaces is still being developed. The developer hopes that a restaurant will be placed in one and noted that a day care facility for a number of growing families and the community is a possibility for the other. A new Starbucks on 14th Street will feature outdoor café seating. Safeway’s workforce of 150 current employees will be carried over into the new project with the addition of 15 to 25 new employees. 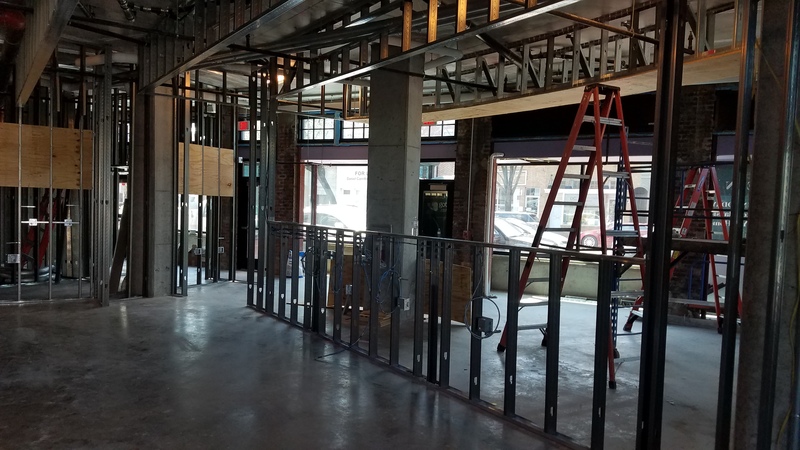 The pharmacy will be relocated in the neighborhood while the project is under construction. The project’s name comes from Beckert’s Brewery which occupied the site in the early 20th Century. Prior to the brewery, there was a park at the location. Folger Pratt hopes to break ground mid to late summer of next year, and plans for a 24 month construction period. The project will be built as a matter of right under current zoning, meaning there will be no Zoning Commission Review. Since it lies outside of the Historic District, there will be no Historic Preservation review. 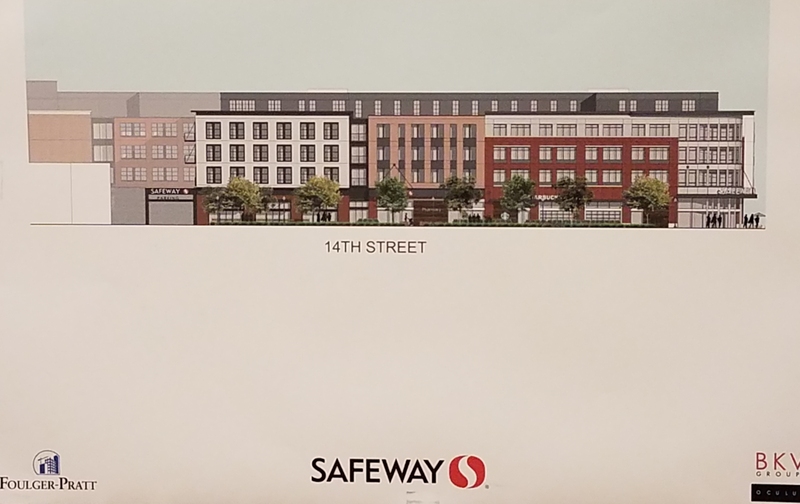 I’m very excited about the new development and that 10 percent of housing units will be “affordable.” However, based on publicly available information, it seems unclear Safeway employees could actually afford to live there. What would be the “affordable” monthly rents? And what would it say about Safeway if they don’t pay full-time employees enough money to rent the “affordable” apartments in the new development? It doesn’t say anything about Safeway. It does say a lot about the economic value of the skills of Safeway workers and how high Capitol Hill rent is. Safeway is in the grocery selling business not in the housing subsidy business. It’s always easy to be generous with somebody else’s money. If lowering housing costs are a priority for you why not gather a group of like-minded friends and make a direct payment to a Safeway worker? $4000 / month ought to enable to a family of four to find something somewhere on the Hill! If you found, say, four friends you would each only have to pay $800 / month. It would be tax deductible. And, even better, you could address the problem right now instead of lamenting others’ inaction. Better to light a candle than curse the darkness, right? ugh another ugly development whose architecture doesn’t fit in on Capitol Hill. and the cost of rent is crazy. Agreed. The community should prioritize the safety of those trees, and the planting of additional mature trees on D and E Streets. Instead of complaining about the size of the development or its height (2 things that aren’t going to change), focus instead on how it interacts with the street. 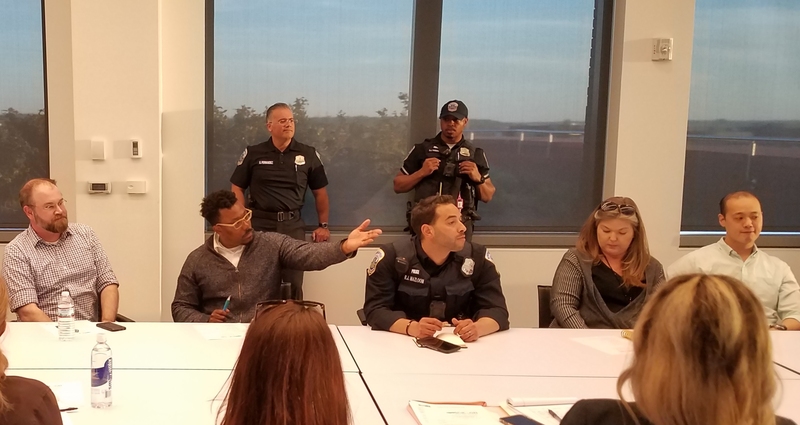 At Monday’s meeting the developers said they’d been in touch with DDOT Urban Forestry Administration and were told those trees weren’t worth saving. They pledged to plant healthier mature trees. UFA has a tree map, so you can probably check the health of those trees. Let me guess, Bryant Foldger did half the buildings in Arlington. This looks like a Truman Show recreation. The lack of creativity or match to the neighborhood is ridiculous. Happy to see the space developed, disappointed in the facade. Yep. Has that “moderately unobtrusively ugly look” going for it like most buildings built this decade. At least it doesn’t have the “intentionally built to look akew” thing going on, so there is that. I would actually prefer the “intentionally built to look askew” look at this point. I really don’t want the Hill to be turned into 14th St NW … or H st NE for that matter. That is so ugly. I suppose the neighborhood couldn’t push back and say make something more attractive, huh? This is inconsistent with the current rules and unenforceable, or the developers are proposing to change the RPP designation for that block. The rules state that any resident living on an RPP designated block can get an RPP sticker. Only residents living on commercial blocks — which have no RPP restrictions — or on residential blocks with no RPP restrictions, are not eligible for an RPP sticker. The only was to prevent the future residents of this development from getting an RPP sticker is to re-designate the block as commercial, or to eliminate RPP parking on the block. Either way, all residents lose their RPP status.